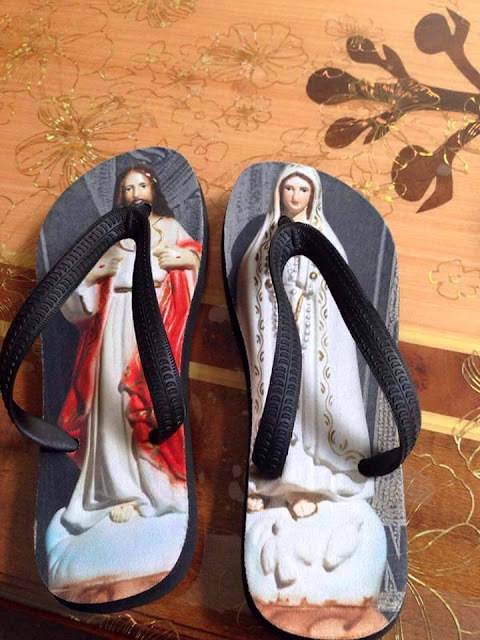 Welcome To Campus Amebo: HOLY MARY AND JESUS SLIPPERS --WOULD YOU ROCK THESE? 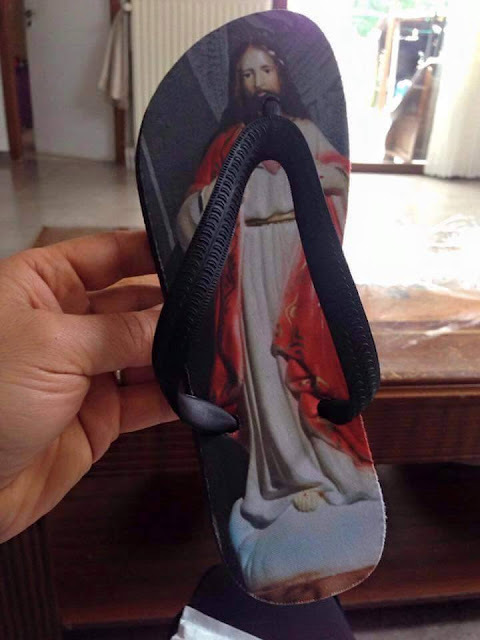 HOLY MARY AND JESUS SLIPPERS --WOULD YOU ROCK THESE? where it was posted. Many think its disrespectful while some think it is cool to rock them. Some argue that the picture is an artist's impression of what Jesus and Holy Mary look like ,therefore not disrespectful. What do you think? culled from Syed Sohel's FB page. He runs an NGO in India that encourages people to donate blood.